The Ozone Pump with Gauge comes with all Ozone Kites. high end Pump with an aluminum shaft for durability. The Gauge makes pumping simple. Just watch the gauge and pump the same pressure everytime. 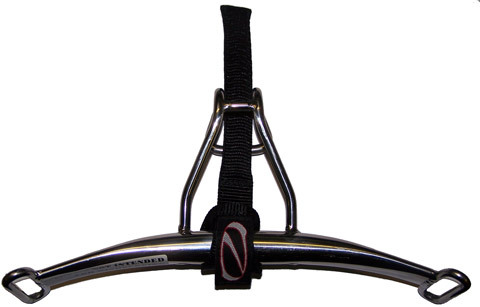 The gauge also helps to avoid over pressure and blowing your leading edge. Although PBK offers Pro Kite Repair should you ever need it. The Ozone Pump is also Red in color which help you to keep your eye on it and not to forget it at the Beach. 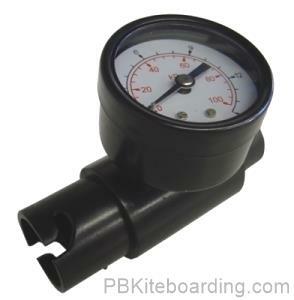 This Pump Gauge can be easily intalled on any Kite Pump. A Gauge can help take out the hassles of wondering and guessing if you kite is pumped up enough. Just watch the level. As well, a Kite Gauge can help prevent Leading Edge Kite Blow Outs. Many kite blowouts are cause by over inflation. At PBK we do Pro Kite Repairs in case you've ever had a blow out or kite damage. The Ozone Pump is a high end Pump with an aluminum shaft for durability.